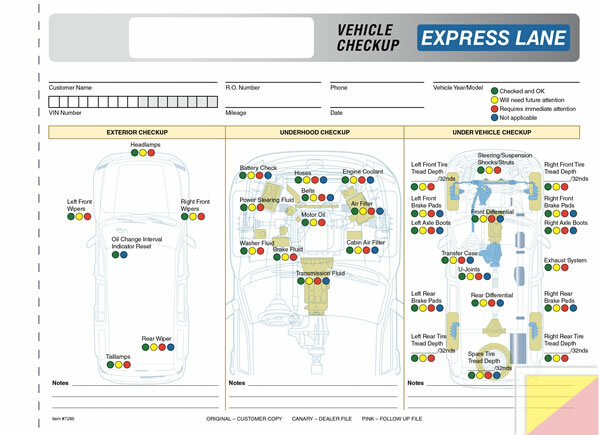 Use this form to offer your customer an Express Lane inspection. It's a great selling feature that will help our customers avoid costly future repairs by spotting wear and tear early. COMPARE OUR PRICE to Great American Automotive Products. They sell 27 Point Vehicle Inspection Forms for more … American's Price is 500 @ $200.00 (SKU # GA1727).